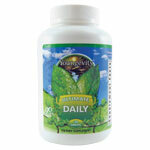 ﻿ Minerals,Vitamins and Antioxidants Dr. Joel Wallach. DIRECTIONS: Take 2 tablets with each meal or as directed by your healthcare professional. For best results, we suggest using this product as part of a full nutritional program that also includes Ultimate™ Classic® and Ultimate™ EFA™. WARNING: May potentiate pharmaceutical MAO inhibitors. If you are pregnant, nursing or taking MAO inhibitors consult your physician before using this product. Accidental overdose of iron-containing products is a leading cause of fatal poisoning in children under 6. Keep this product out of reach of children. In case of accidental overdose, call a doctor or poison control center immediately. source), magnesium silicate, and silicone dioxide.